If you’re an established or a budding mystery writer and you can only attend one writers’ conference next year, make sure it’s the Writers’ Police Academy 2018. 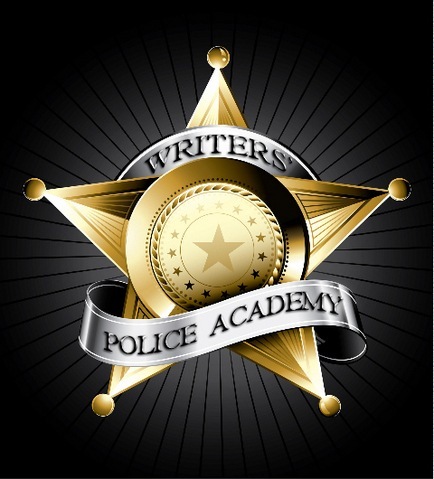 I had the opportunity to be one of the guest speakers at this year’s Writers’ Police Academy—making a presentation on interrogation—and came away convinced it was the best writers’ conference or convention I’d ever attended...bar none. An exciting, fully immersive long weekend event, the Writers’ Police Academy gives attendees hands-on law enforcement, firefighting, EMS, and forensics experiences. The professional staff of law enforcement instructors provided training on an incredible range of subjects and activities including: Long Gun And Handgun Live Fire; Emergency Driving; Traffic Stops; Pursuit Termination Techniques; Defense and Arrest Tactics; SWAT Explosive Entry; Death Scene Investigation; Building Searches and Room Clearing; Shoot/Don’t Shoot Scenarios; Taser Training; Police Dogs; Evidence Collection and Processing; Narcotics; Prison Gangs; Mindset of Cops; Serial Killers; Fake/Genuine Suicide Notes; Arson Investigation; and so much more. The four track programming was so comprehensive and densely packed, it was impossible to do it all. 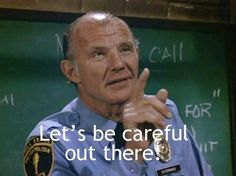 Cop turned writer Lee Lofland is the innovator of the Writers’ Police Academy. 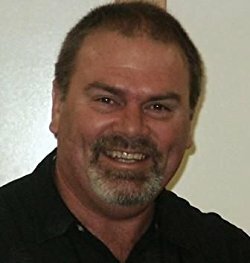 He and his staff work incredibly hard to ensure a seamless conference where writers can enhance the realism of their fiction in an educational and fun atmosphere. 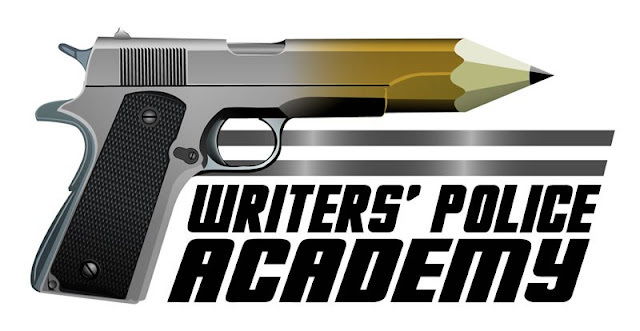 My experience at this year’s Writers’ Police Academy involved hanging out with 250 crime and suspense writers avidly participating in every scenario and skill thrown at them—including 20 of them who volunteered to wear a standard police utility belt with all the trimmings—gun, ammo pouches, handcuffs, CS gas, etc.—for the whole long weekend. I was also able to interact with twenty other staff instructors and a wonderfully uncountable number of volunteers (all in highlighter yellow T-shirts) who could have not been any friendlier. And all of this to help crime writers escape the Hollywood Effect of bad scenarios being perpetrated again and again—silencers on revolvers, anybody? How about getting DNA back between commercials? I was impressed by the high quality and professional résumé of the instructors. Most were attached to the Public Safety program located on the campus of the Northeast Technical College in Green Bay—used as an actual police academy by many local law enforcement jurisdictions. It was also the location of much of the provided training for the Writers’ Police Academy attendees, along with the nearby newly opened pursuit driving course, and the excellent conference rooms and facilities in the conference hotel. Wear comfortable clothing as it is nearly impossible to duck live ammunition, crawl under loops of barbed wire, and defend yourself against twelve knife-wielding attackers while wearing heels and a skintight leather jumpsuit like many action move heroines. Bring only the things you need to the academy grounds. It’s tough to kick in doors and perform a PIT maneuver if you’re constantly juggling the contents of a purse big enough for a pack mule. However, sunscreen, sunglasses, bottled water, and a light jacket should be part of your personal gear bag. Make ahead of time for any child care issues you may have. There are no child friendly options at the Writers’ Police Academy. However, there is a timeout corner for misbehaving adults—most often those who may think it’s okay to keep their phone video app running when the no video rule is implemented. Cameras used for still shots are acceptable with an instructor’s okay. Bring a photo ID and keep it with you at all times while at the police academy. Some of the activities do require ID and background checks. For instance, you need a valid driver’s license to participate in any vehicle related activities. Book covers/dust jackets do not count as official ID. When participating in those emergency driving workshops, keep hands and feet inside the car at all times—especially while spinning wildly out of control. Be sure to attend the Thursday night orientation. This is where secret details about the event are provided—where to go, when to go there, what to expect when you arrive, what to do and say if captured, schedule changes, classroom number changes…Treat it like a shift change roll call and be there. Besides, it’s fun. Camping is not allowed at the academy, so be sure to book your hotel accommodations ahead of time—the main conference hotel books up quickly. The hotel bars and casino are well-stocked with alcohol, so pace yourselves. They will not run out of your favorite beverage. Only TV and movie detectives can drink themselves into oblivion and show up for work the next day popping aspirin and breath mints. Keep in mind the next morning will indeed arrive, and it will include lots of loud gunfire, sirens, and barking, snarling police dogs. Remember to bring cash and/or credit cards in order to unload a boatload of dollars at the raffle, auction, and silent auction, during the banquet evening. The prizes are unbelievable. This year included a cool guitar signed by the Oak Ridge Boys, a PR package worth nearly $3000, a manuscript review by a top Harlequin editor, two seats at a law enforcement only gang conference, and a ton more. If this sound as if it’s the conference for you, be sure to sign up as soon as registration opens for 2018. Be prepared to take copious notes at the speed of light, to find the answers to questions you didn’t even know you had, identify those things you want/need to know more about for you writing, and make many potential contacts among the speakers and instructors—many of whom are happy to give out their emails to answer any questions that might arise about procedure, etc.